All was well that ended well Monday on the next-to-last day of the "Affordabili-TEES'' golf trip. The day began on a downbeat note when steady rain, a stiff wind and temperature about 20 degrees below the norm for this time of year in southern North Carolina obliterated plans for a round at Little River Golf Resort in Carthage. 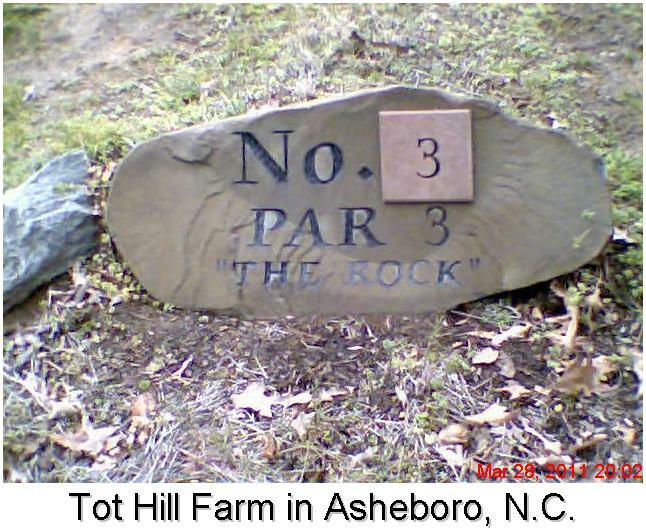 I began working my way north toward Asheboro, N.C., where plans called for an overnight stay Monday and the trip's final round Tuesday morning at Asheboro Municipal, a 9-hole course that opened in 1936 and was designed by the famous Donald Ross. 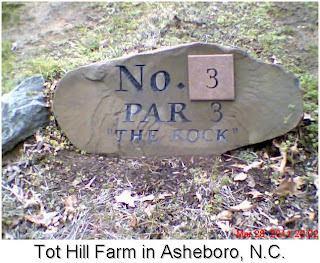 It was about noon when I got to the outskirts of Asheboro on State Route 220 when I saw a sign indicating Tot Hill Farm Golf Course was accessible from the next exit. 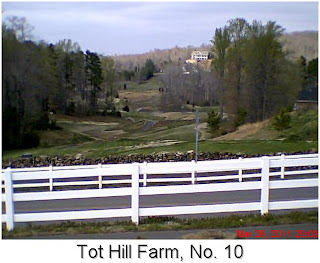 I was introduced Tot Hill Farm last March. 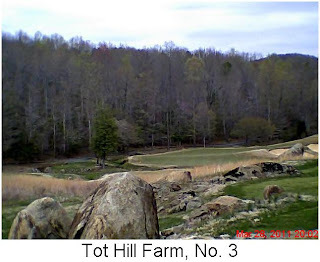 It is one of the most challenging courses I've played, an up-and-down adventure through the rocky terrain of a former farm. The rain had stopped but skies were still grey as I left the freeway and undertook the six-mile drive through some pretty country to get to Tot Hill Farm. There probably wouldn't be any golf played, but it would nice to renew acquaintances with head professonial Alan Martini and assistant pro Chad Clark. While we were chatting, the clouds rolled off to the east and the sun re-emerged after the better part of two days in hiding. There wasn't time to play 18 holes, but I did enjoy a leisurely spiun around the front nine. The walk-in greens fee at Tot Hill Farm is $54, slightly outside the "Afforabili-TEES'' price paramater. However, the price includes range balls and lunch. Check out Tot Hill Farm's top-notch website for information about lodging-golf packages.